She’s not auditioning for the remake of Pinhead. 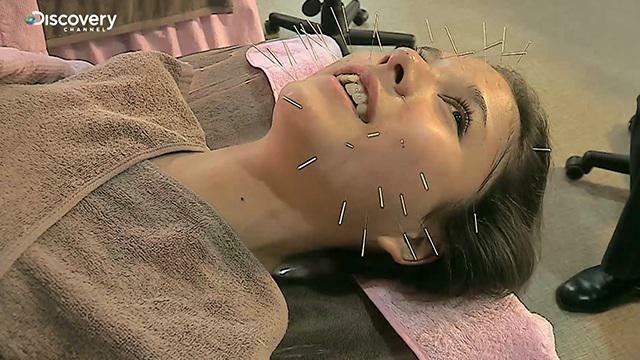 This is an anti-ageing acupuncture treatment in a Korean private hospital. The treatment above is for wrinkles, with acupuncture needles that stimulates the regeneration of the dermis layer. In the same hospital, facial pores are opened by setting a face on fire, and severe acne is treated with live, wiggly leeches. Here are our takeaways from the documentary ‘The New Age of Medicine’, examining how traditional methods and knowledge has evolved for the modern women in their quest for beauty. With a tradition dating thousands of years, Korean traditional medicine and its applications are in the 21st century seem far from typical. The definitive textbook on Korean medicine is the Dongui Bogam, a compilation by a royal physician published in 1597. It’s a cultural heritage that earned a Unesco title, but for the Lee family of doctors, it’s a legacy that runs deep in their family. They inherited knowledge and century-old research and prescriptive philosophies that they’re trying to bring into the modern age. In the olden days, people were treated and medicated to improve their general well-being, and having a clear complexion was just a secondary effect. This is a holistic approach that all doctors held in diagnosing and treating their patients. #2 – BEAUTY ISN’T SKIN DEEP – There’s no magic brew in the ancient textbook, no one-size-fits-all treatment. 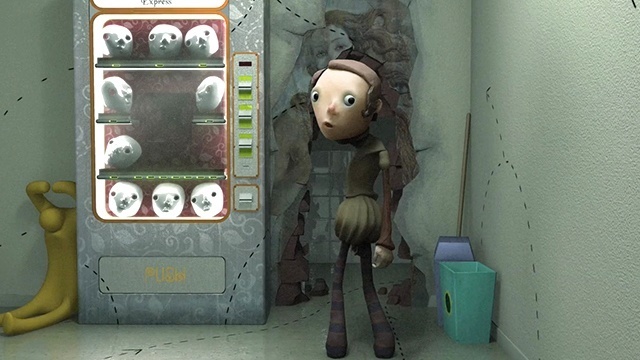 The documentary follows two patients, one diagnosed with obesity and another with severe acne. Weight loss is closely tied to the diet of a body type, and remedies include herbs and medicines brewed specifically for the body type, stimulation of meridian points, and by correcting the body’s impaired posture. Poor skin can be treated at the surface, but these doctors do not believe in just application of creams to improve one’s overall well-being and complexion. 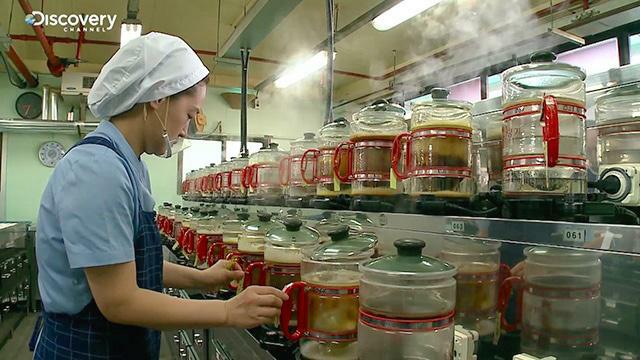 Remedies include acupuncture, masks, leech therapy, and other patients are prescribed traditional brews from the hospital’s lab, which looks more like a kitchen than a pharmacist’s! The doctors are constantly improving and researching ingredients and herbs that can be used in their treatment. 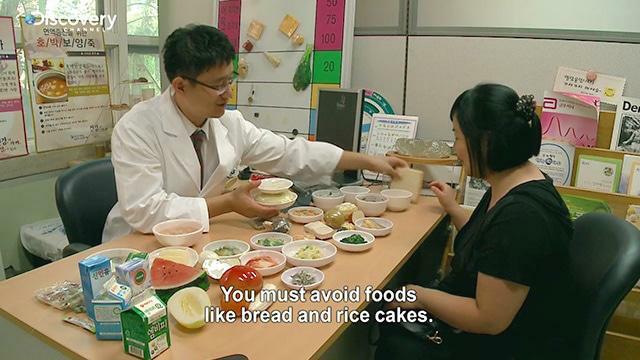 Rice, for example, is a daily staple in Korean diet, and it’s also used for medicinal, beauty and cosmetic treatments. Even after he’s punched out after work, one of the doctors rethinks what he knows about the traditional rice-based alcoholic beverage, the ‘makgeolli’, working closely with makgeolli producers to produce a super brew, which he tests on himself. This discovery was a breakthrough for him and his patient, and by the admission of the other doctors featured, there’s still a lot that they don’t know about the hidden potential of herbs and ingredients. 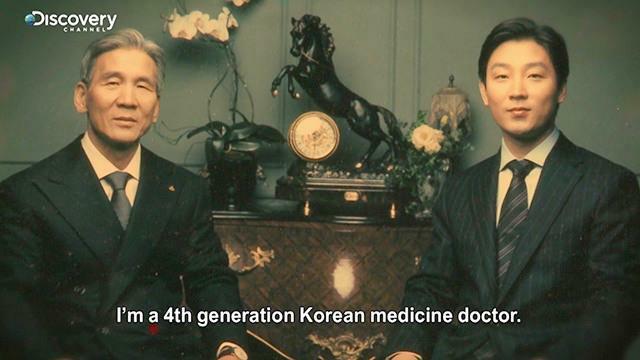 ‘The New Age Of Medicine’ is part of Korea Next, a documentary channel on Viddsee by Discovery Channel. Check out the rest in the series, Nanjing Calling, Singapore Stories, and Super Japan. No Looking Back Now. This Is Her Beauty Transformation, Made To Order.